The Epiphany of Being Sane | The Iyer Project | OK Listen! 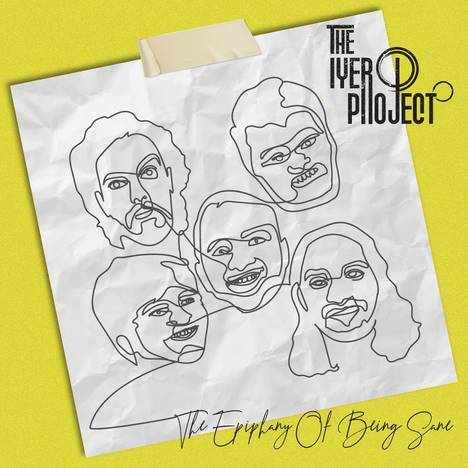 The Iyer Project is an Alternative Carnatic Rock band from New Delhi. We fuse Carnatic classical style vocals with rock riffs. Our debut album, 'The Epiphany of Being Sane' is an 8 song album, which has a variety of 4 English, 3 Hindi and 1 bilingual song. 1 of the songs also features a Tamil chorus. The songs although very different have been put in order of phases a person goes through in life. The songs with phases are as follows - Mr. Funkesh (The Beginning), Confused Hypocrisy (Youthful Rage), Vishwaroopam (Rise), Jal (Realization), Boondein (Feeling), Rockuvamsa (Love & Peace), Echoes of Liberation (Liberation) & Afterlife (Afterlife).